Table Vacuum Packager revolutionize the way you store food to Vacuum & then Seal products which increases shelf life of perishables, retains aroma & prevents breakages. 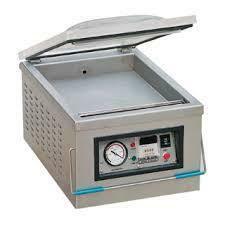 Vacuum Packaging Machine of size 20” X 20” revolutionize the way you store food to Vacuum & then Seal products which increases shelf life of perishables, retains aroma & prevents breakages. 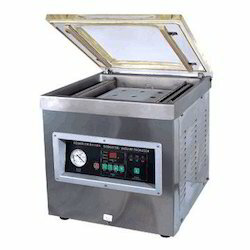 Air can cause food to become stale, fermented, dried out or develop freezer burn, prevents moisture absorption and oxidation. Vacuum packing keeps your food fresher longer. Optional Nitrogen Flushing. 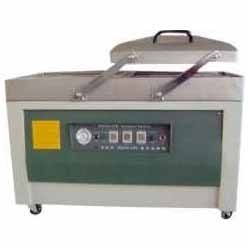 This sealer is suitable for vacuum packaging of fish and meat products, cashew nuts, dry fruits, tea, sensitive electronic components, electrodes, etc. Double Chamber Vacuum Packager of size 16” X 16” that revolutionize the way you store food to Vacuum & then Seal products which increases shelf life of perishables, retains aroma & prevents breakages. Double chamber allows operator to place pouches in 2nd chamber while the vacuum cycle is in progress in the 1st chamber. 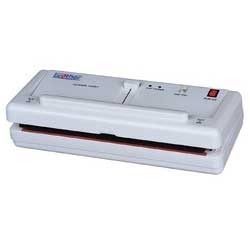 Mini Vacuum Sealer that we provide is of size 11” sealing width for manual vacuum sampling of 40 to 50 pouches per day with sealing. Vacuuming revolutionizes the way you store food & Seal products which increases shelf life of perishables, retains aroma & prevents breakages. 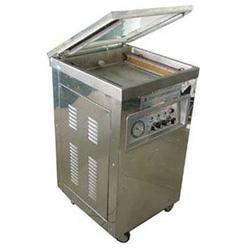 Looking for Vacuum Packing Machines ?